Singer and The Voice judge Adam Levine didn't hold back in a recent Out magazine interview in which he accused rival show American Idol of covering up its contestants' homosexuality. What does it got to do with me? What does it got to do with anybody? When does privacy stop in this country? If somebody wants to say they’re gay, it’s up to them. You don’t expect us to turn around and say, “Are you gay?” Why would we do that? — “By the way, he’s a Catholic and he supports Obama and here’s his sexuality” — what does that have anything to do with singing talent? Maybe it does for Adam Levine, but not for me. Lythgoe goes on to discuss Adam Lambert, an American Idol runner-up who came out after his season had ended. 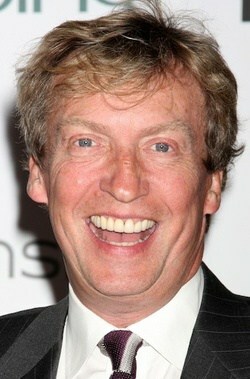 "He must have come out before being on Idol, he just didn’t talk about it on Idol," said Lythgoe. He went on: "And why should he [talk about it]? Is every actor going on television going to say, 'I’m only playing the part of a straight man, I’m really gay'? There’s no reason that I would see why anybody that goes on television should start coming out with who they are, what they are, what they’re sexuality is, who they’re going to vote for or what their religion is." For his part, Lambert says he felt like his sexuality was "out of my control" during his time on Idol, primarily because he was not allowed to do any solo interviews.